Famous Blogger RJ Nieto or more commonly known as his Facebook Page’s name Thinking Pinoy entertains himself with the paradigm that Senator Risa Hontiveros has created around China’s nuclear threat to the Philippines. 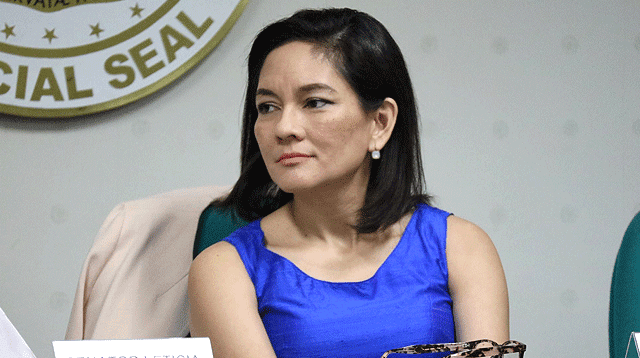 The so-called “genius” Sen. Hontiveros claims that China will be landing nuclear-armed bombers within flights reach of the Philippine Territory. A wild and unsubstantial claim against a country that would basically violate the international treaties on nuclear weapons if they ever did. But other than that outrageous claim of Hontiveros, Nieto lambasts the senator with five key points on her claims. First of all why would China ever try to do something that they’ve never done before, unlike her well acquianted ally that was the only country to ever use nuclear weapons, the United States. Second, China wouldn’t need to put their nuclear-armed bombers near the Philippines for they’ve already been within strinking distance of the Philippines ever since. Third, if her party, the Liberal Party admits that President Rodrigo Roa Duterte and Chinese President Xi Jinping’s relationship has been too close for comfort, then why would China even dare to bomb the Philippines? She’s going against partylists own claims and to top things off with a cherry, wasn’t the US more of a threat back in former President Benigno Simeon “Noynoy” Aquino’s time? For the US actually brought nuclear-armed American warships to the seas of our beloved nation. And lastly, China has the capabilties of carpet bombing the palace with conventional munition, so why would they go risk their geopolitical position and basically start a third World War by violating the nuclear weapon-related international treaties? In reality, if China really wanted to flaten the Philippines, they would’ve done that already in one of the three aspects of their military, land, sea and air. They have enough man power to outnumber the Filipinos 20-1, enough ships that can be armed with nuclear ballistics and planes that can bomb the Philippines conventionally. But they didn’t and are not planning to. So to conclude, Hontiveros’ claims is of that of an “idiot” based on Nieto’s perception, and it is a perception that everyone can agree with.